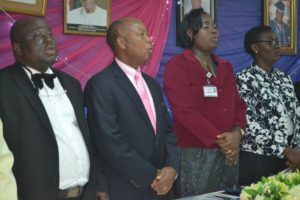 Both Chief Medical Director of the University College Hospital (UCH) Ibadan, Professor Temitope Alonge and Professor Oduola Abiola, Head Department of Biochemistry, Bowen University Iwo have identified Medical Laboratory Scientists as life wire in the health sector and should operate without unhealthy rivalry with othet health workers as it is being experienced in the country. 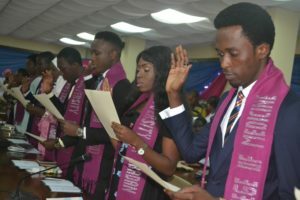 They spoke on Wednesday at the induction ceremony of the 18 pioneer graduates of medical Laboratory Science, University College Hospital (UCH) Ibadan, Oyo state. 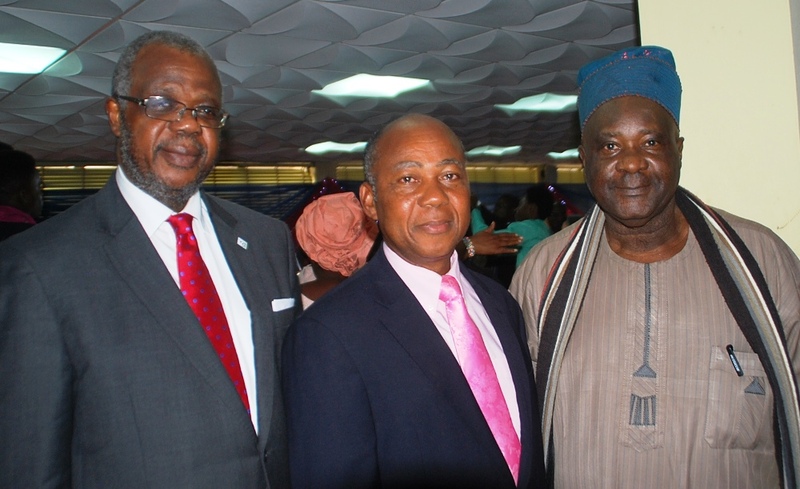 Professor Alonge stressed that medical doctors cannot successfully treat patients without the collaboration of medical scientists who would conduct various tests which would enable doctors to prescribe relevant drugs for effective treatment of patients. The CMD said that unless medical laboratory scientists carry out their roles effectively, patients are capable of being sent to graves because of taking wrong drugs prescribed by the doctors adding that there must be synergy between the two groups of medical personnel. Professor Abiola of Bowen University Iwo and a visiting Professor Institute of Psychiatry, Psychology and Neuroscience, Kings College London associated himself with the view of Longe and other professionals at the ceremony but pointed out that no health providers in the system should regard others as inferior to his group. Abiola said “the role of Medical Laboratory scientists in quality ,purposeful and excellent health care delivery is no longer in doubt and researchers have shown that over 70 percent of all critical decisions like admission, discharge and therapy are based on laboratory generated results”. Quoting Emeritus Professor E.C.F. Ebute, he noted that a Doctor who omits or is not provided with facilities for laboratory investigations will frequently fail to arrive at the correct diagnosis. The Professor disclosed that he had at a recent public lecture challenged all health workers to stop at nothing to rebuild the waste places of Nigeria’s healthcare delivery adding it is unfortunate that the wrangling among medical and health workers is that our country men and women and children are made to die unnecessarily of preventable ailments. He lamented “Our hospitals have been deserted because of the discord between the doctors, nurses, and pharmacists and other health workers while patients they are called to serve are dying needlessly. Professor John.I. Anetor, the HOD said that he was happy that the course was resurrected after many years and congratulated the graduands on their successful completion despite the challenges which they went through. He charged the graduands to be good ambassadors of their department as well as UCH which is very proud of them as the pioneer products of the School. Other speakers at the occasion included Mr.O.O.Owojuuigbe, Professors E.Oluwabunmi, Olapade Olaopa, A.I Olayinka VC University of Ibadan who was represented, Oduola Abiola and Dr. Atinuke Agunloye among others while Mr. Jeremiah Peace Olawale, the best graduating student thanked the management and staffers of the College for their mentorship which was given them while in training.